Candace, ancestral name xets’emits’a (to always be there), started her company in 2002. Trained as an anthropologist and school teacher, sharing outdoor education and culture was a dream made possible by growing up on the land and being taught the stories and history of her people by her parents and elders in the community. Candace is a head kayak guide, storyteller and educator-facilitator. 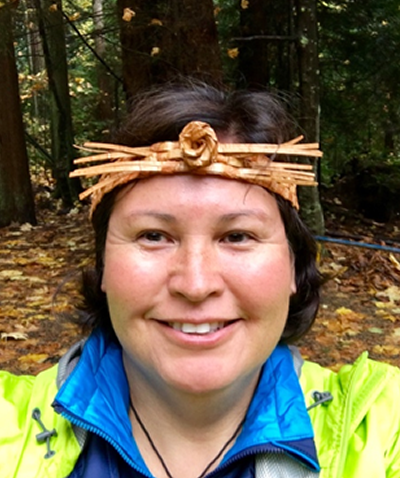 She also works with her community, shíshálh (Sechelt) as a cultural director.